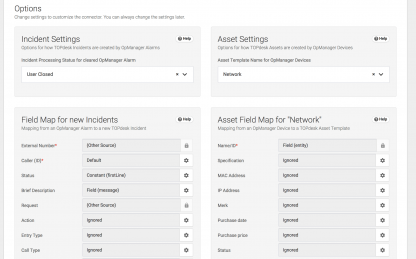 Synchronizes Alarms and Devices from OpManager to TOPdesk Incidents and Assets. 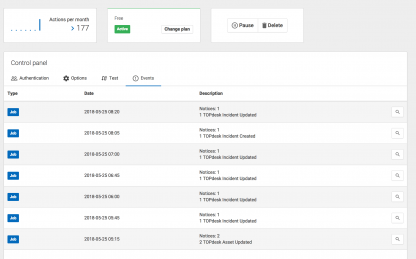 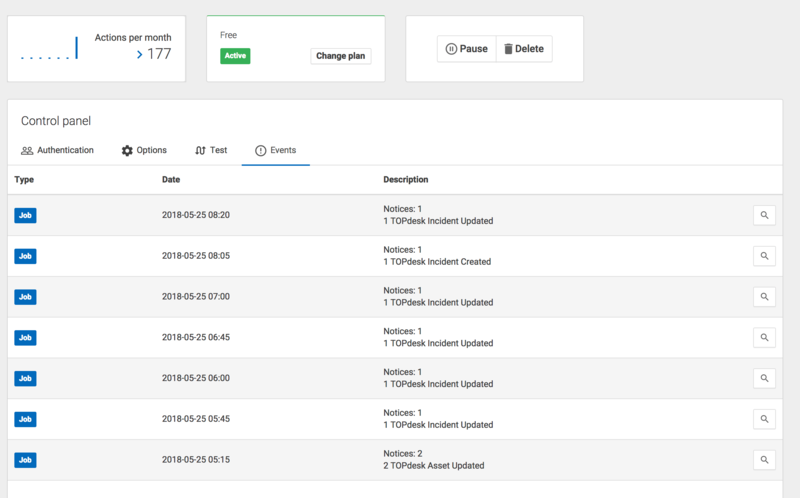 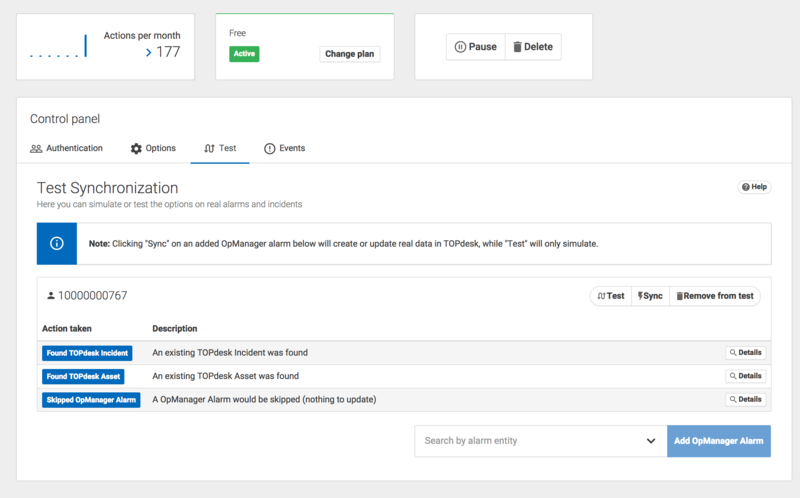 Our OpManager ManageEngine to TOPdesk connector polls your OpManager instance with a high frequency to ensure that any new Alarms or Devices are automatically created or updated in TOPdesk as Incidents or Assets respectively. 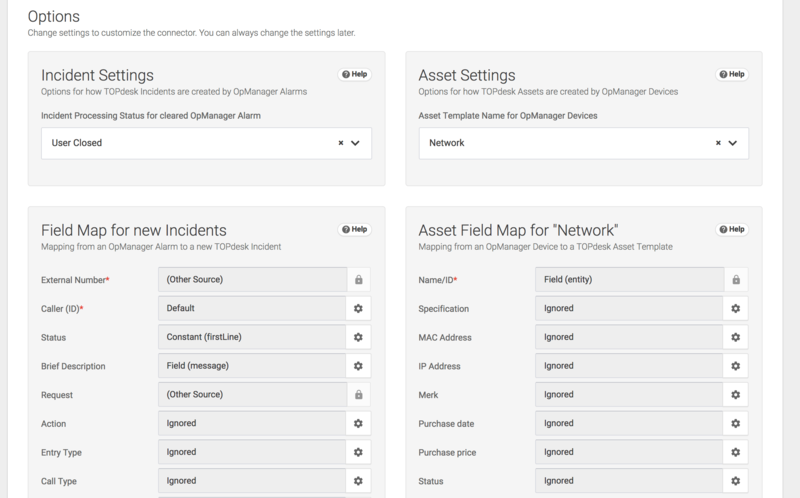 Map columns from your Alarms and their corresponding Devices directly into TOPdesk Incidents and Assets, and let your operators always have an updated list of alarms to work with in TOPdesk.